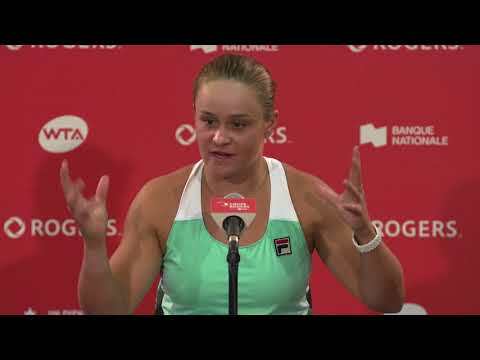 In a dominating performance, Ukraine’s Elina Svitolina bested Caroline Wozniacki in straight sets 6-4, 6-0 for the 2017 Rogers Cup presented by National Bank title. Svitolina, the No. 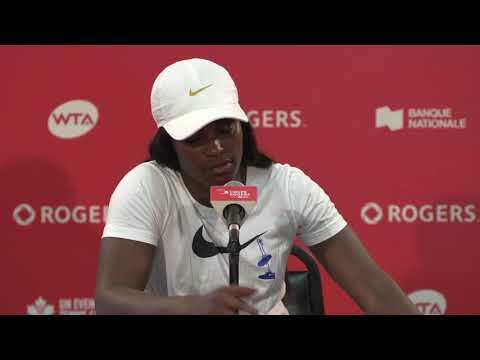 5 seed, dismantled her Danish opponent in 77-minutes to capture her maiden title at Toronto’s Aviva Centre on Sunday. The first set was an even battle, with Wozniacki controlling play at times. However, the second set was a different story. Svitolina ran away with the match, dominating the set and not allowing Wozniacki any room for a comeback. Denmark’s Wozniacki has now made it to six WTA finals this season but has yet to be named champion. Svitolina has that honour at Rogers Cup after one of the best tournaments of her young career. In the third round, the 22-year-old faced seven-time Grand Slam champion and 2014 finalist Venus Williams. Williams has had an incredible season as a finalist at the Australian Open and Wimbledon. However, Svitolina out-matched the 37-year-old advancing to the quarter-finals in straight sets. On Friday evening, she faced Wimbledon Champion Garbiñe Muguruza. After the first set, an unrelenting rain hit Aviva Centre, postponing the rest of the quarter-final match until Saturday. Svitolina started the morning match down a set, but showed resilience using her incredible speed to outwork her No. 4 seeded opponent. She won the last two sets moving onto the semifinals to be played later that same day. In a result few were predicting, Svitolina upset defending Rogers Cup champion with ease. She dominated the Romanian, needing just 57 minutes to defeat the No. 2 seed in straight sets. She halted an incredible run from Halep who was looking to make her third consecutive Rogers Cup final. No. 5 seed Svitolina carried her incredible play into the final besting 2010 champion Wozniacki. This is the second time this season that she has defeated Wozniacki in a final, previously winning 6-3, 6-2 in Dubai. Svitolina is now 3-0 lifetime against her Danish counterpart. Despite posting wins over 2014 champion Agnieszka Radwanska and world No. 1 Karolina Pliskova, Wozniacki could not overcome a strong surge from Svitolina. The loss is a painful one for Wozniacki as she has yet to win a title in six WTA finals appearances at Bastad, Eastbourne, Dubai, Doha, Miami and now Toronto. Over that span, Wozniacki has not won more than four games in a finals set. Svitolina’s title is her fifth after wins in Dubai, Taipei, Istanbul and Rome; the most of any WTA player this season. Congratulations to Elina Svitolina and all the competitors at Rogers Cup presented by National Bank. The culmination of Rogers Cup 2017 marks the 125th anniversary of the women’s tournament in Canada. What an anniversary it was as the WTA’s elite put on an incredible display of world class tennis that we were fortunate to witness. Thank you for your support this season and we look forward to seeing you in 2018 when the ATP returns to Toronto!